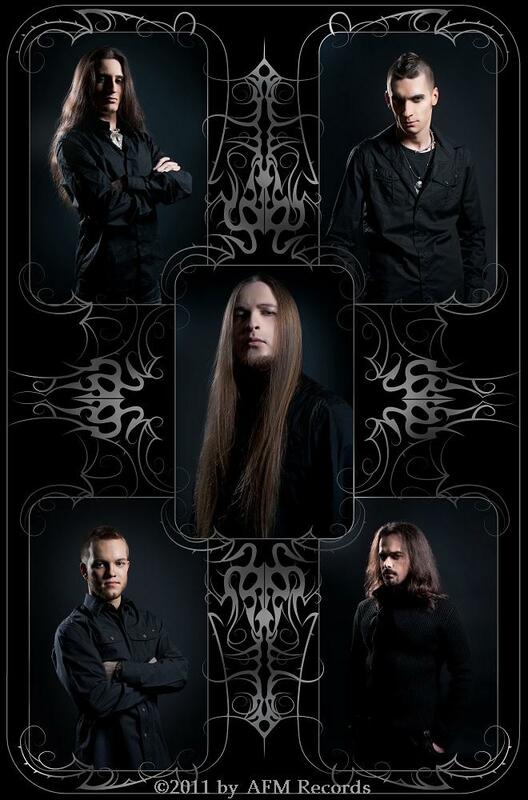 Your first album will be released on October 21th 2011 through AFM Records in Germany. The songs are great – congratulation! Why did you decide to name the album Come Read The Words Forbidden? Thanks a lot! We’re so excited about our collaboration with AFM! It means so much for us. The title just appeared in my mind, when I was listening through the rough mixes and reading the album’s lyrics – still unfinished. This title is an invitation to get into the spirit of the album. Thirteen songs, thirteen stories. The forbidden words. The CD has already been released in Japan and your home country Ukraine in July. Have you been happy with the CD's success in those countries? Lots of positive feedback from Japan, and the sales seem to go quite nice, as well. In Ukraine, everything went just fine, too – I’m glad that every fan had a chance to buy our CD, so that we actually ran out of copies! In Ukraine you released the album by yourself. Is it a difficult situation with labels, CD-production, promotion and so on in your country? I always say that it’s better to release an album independently in our country. I mean, with a certain effort, you can help your band even better, then any amateur local “metal label”. No one here would care of your band as much as you would. Printing CD’s, promotion, touring - you’d better control it by yourself. I’m not even talking about financing – no one will invest in the band here. But I think it’s a good experience that any band should gain. Could you please introduce the members from Morton and tell us a bit about the history of the band? It all begun as the one-man studio project. I was not aware of what it should turn into in the nearest future :) My primary goal was to record four songs in the studio and see the listener’s reaction. But in the process of recording I realized that these songs had to sound live! So, I turned Morton into a band. And I never ever had to regret! (knock on wood) We’re all great friends and we respect each other as musicians. 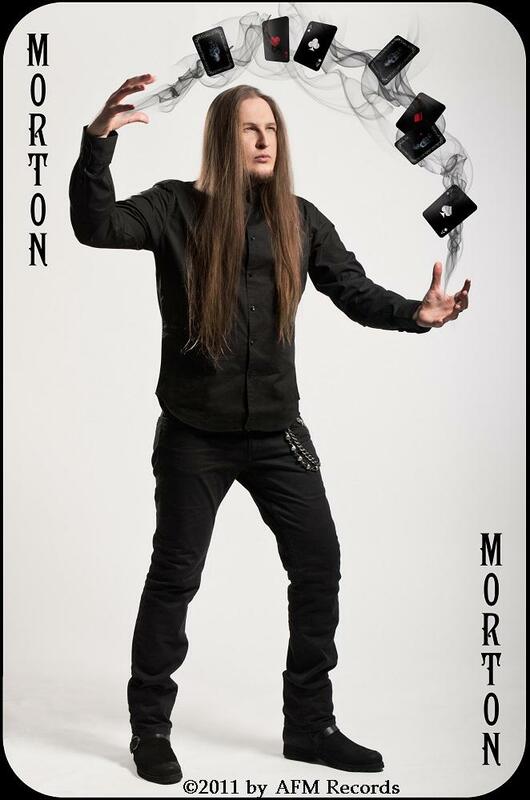 Back in the days when Morton was still a studio project, I was lucky to get acquainted with Dmitry (drums) and Alexander (guitars) – we three formed the first “live” Morton line-up. We’re old friends with Andrey (bass), and I was glad when he joined us. Roman (guitar) was the best among all the auditioned guitarists - and there were many! Not only he became the best replacement of me as a guitarist, but he also perfectly made it possible for me to concentrate entirely on my singing and composing. Who wrote the songs for the CD? What are they about in the lyrics, what were the inspirations? I am the author of all the music and arrangements. I also did all the lyrics except for the older songs. Our lyrics depict a sombre, dark and mystical realm. You get there with the first track and you stay there until the last one. The foundation of this concept was put in our debut EP - to a large extent, due to the lyrics on it, that was written by Andrey Karpov, our bass player. And though I wrote the rest of the lyrics on the album, I kept to that concept and developed what Andrey started. There are 13 great tracks and I know my favorites – are there one or more songs with a very special and deep meaning for you? Glad you like them! For me, it’s hard to name a certain song, but I’m still getting inspired when we perform Weeping Bell and Oblivion – both songs take me away to the mystical realms I sing about. I also love Sleeping King – not only musically, but also due to the good memories, that it gives me – filming our first video, first real attention from the listeners. When we created it, there was so much effort put into this song, that now it gives it back to us. Dark, mystical, epic. Melodic and heavy. I dare to say, well balanced. For me, it’s a mixture of heavy metal and power metal with various sub-genre injections. Since my teenage years, I’ve been a huge Judas Priest fan. I was even lucky to work as their interpreter in Ukraine during their reunion tour in 2005. That’s the second reason why I call them my biggest influence. Their wise words and their friendly attitude towards me, the simple interpreter, gave me a huge impulse to work much harder, then I ever did before. I also adore Saxon, especially everything they did since 1997. Rob Halford and Biff Byford are two greatest singers for me. It seems to me that Biff’s voice is only changing for the better with years. And their songwriting stands strong no matter what – I absolutely love their newer stuff. But it does not mean that my music is based solely on British heavy-metal. When I was a child, where was always enough music around me – though my family was not musical, I often heard Rick Wakeman, Beatles, Abba, Space... I think I was very lucky to hear some of the finest melodists in my early childhood. And currently, I’m much into modern metal – both extreme and melodic. I love the heavier, modern extra-tight sound, lower tuning, complex multilayer arrangements. But after saying all this, I still feel that nothing recharges me as much as classic heavy metal. You surely will showcase your album live on stage pretty soon. Do we have a chance to find many dates for Germany listed on your tour schedule? We’d love to play in Germany! At this moment, there is no certain information regarding our tour dates, but I believe it’s just a matter of time. There are many. Most of all, I’d love to support Judas Priest and Saxon. Perhaps even singing Breaking The Law or Motorcycle Man?... Naah, I’m a dreamer :) Also, it would be so cool to support bigger AFM-signed bands, like Masterplan, Brainstorm and others. If I only had a chance to share a stage with Roy Khan – I’d be the happiest singer in the world. Your voice sounds great. Do you use vocal exercises to ensure that your voice is in adequate shape? What are you doing to protect your voice and/or vocal chords, do you have little tricks? Thank you very much! I’m working on my singing skills for quite a short period, as for my age. I’m 27 and it took me around three years to get to my current state – from virtually zero. Don’t get me wrong - I always enjoyed singing, but I never took it seriously in the past. I even had a three-year period, when I was concentrated fully on my guitar-playing, composing and engineering skills – I did not sing at all! All this time I kept my will to sing hidden from everyone, including myself. One day it just overgrew me. My main voice protection and my main workout is actually... singing :) I’m trying not to develop dependence from warmups or specific vocal workouts. I’m always trying to „feel“ my vocal apparatus. So, when we’re in the rehearsal room or in the studio, I just „warm up“ by singing a song or two softly, in the most comfortable range, thus, checking my current condition and preparing myself for more action. Then I go higher and louder, but without adding any grit to my tone, trying to keep my voice very light and clear. It usually takes three or four songs for me. I examined lots of books, videos and interactive courses and it gave me the basic understanding of what each singer should really do. In my opinion, each vocalist should know how to be in harmony with his own instrument – his voice – and it always comes through years of practice. You have your own recording studio. What bands have you worked for as a producer - except Morton? All of them are local, but they are great bands and I love their music. Among the most recent works I can name Morphine Suffering, Grimfaith, Infinite Tales – they all are about to release their albums I’ve just finished working on. I also enjoy the work we did with Efir, Marvel, Synopsis and Backchat – they all are very different sounding bands, ranging from post-rock to metalcore. There is also a Russian-speaking heavy-metal band Krilya – we did a nice full-length album with them and was accepted really well in Russia and Ukraine. Talking about Rock & Metal music in Radio and TV now, how does this work in Ukraine - do you get a lot radio airplay and TV-appearances? We’ve got one major rock radio station here in Ukraine, it’s called RadioRocks. There are a couple of Morton songs there. As I know, they often play Werewolf Hunt. Also, we can be heard on several local radio stations in different Ukrainian towns. On Facebook, MySpace, Twitter, etc, bands are able to read the opinions and reactions of their fans. Do the band members from Morton use these platforms to get contact with the fans? In my opinion, Internet is not only the best way to communicate with fans and colleagues, but it’s also great for spreading the word about the band. If we had no Youtube, our debut video won’t be noticed by anyone. 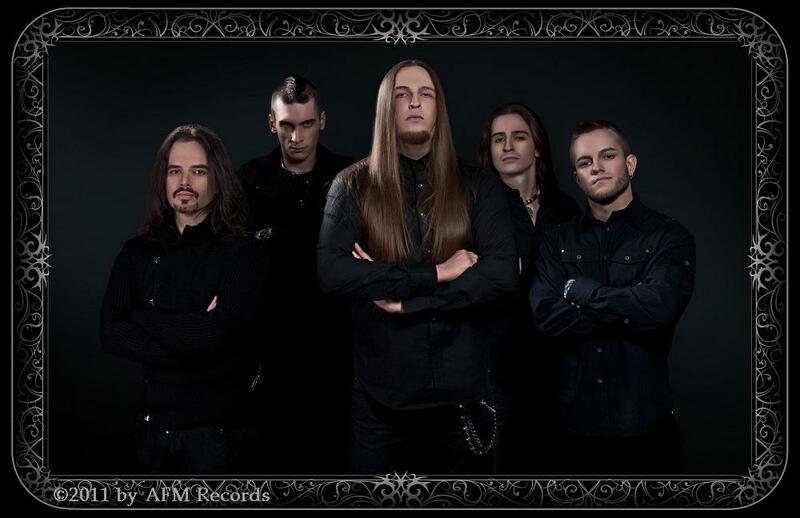 If we had no Facebook, most likely I would not have all those conversations that finally led us to recognition by AFM Records. I love the way social networks unite people from other countries – either in terms of entertainment, or professionally. I often talk with our listeners – and I hope I will always have enough time for that! Two last years were extremely intense. There was so much hard work – both with the band and in the studio, to keep the band going up. I’m finishing all my recording sessions within a month and planning to concentrate on Morton entirely. It’s time to work on the new material! There’s one important thing I’d like to say about music in general and metal in particular. Some people say that the best songs were already written – I cannot agree. It totally depends on us all – musicians, listeners. I think we should respect and know our history (and that’s what many younger bands lack, in my opinion), but also look around – there are so many great bands nowadays! If we really want it, metal will rise, stronger then ever.